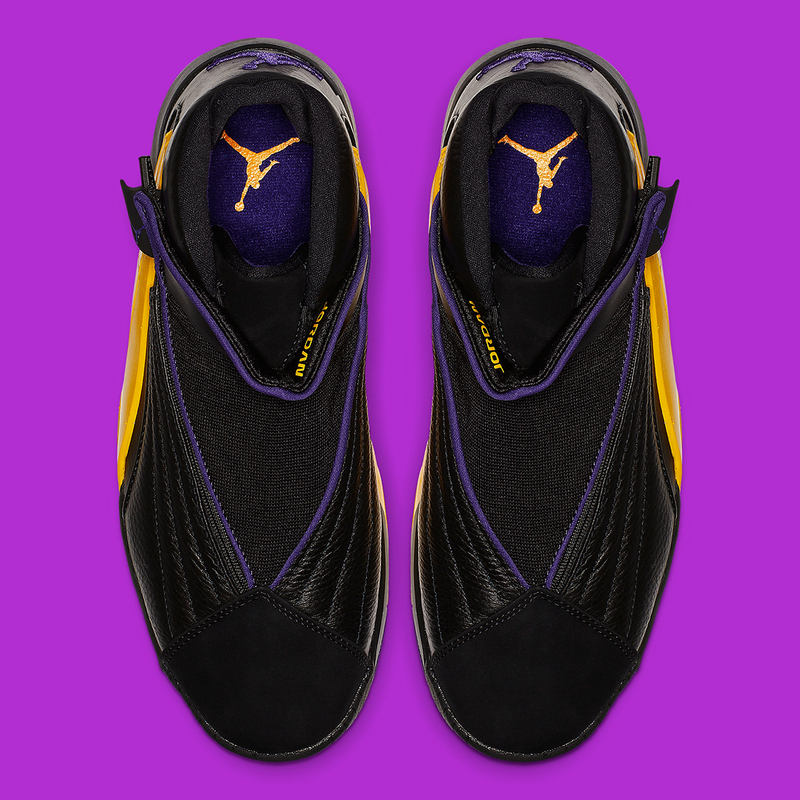 First released in 2000, the Jordan Jumpman Swift — known then as the Swift 6 — was a signature sneaker created for All-Star guard Eddie Jones that bore some design similarities to the Air Jordan 15. 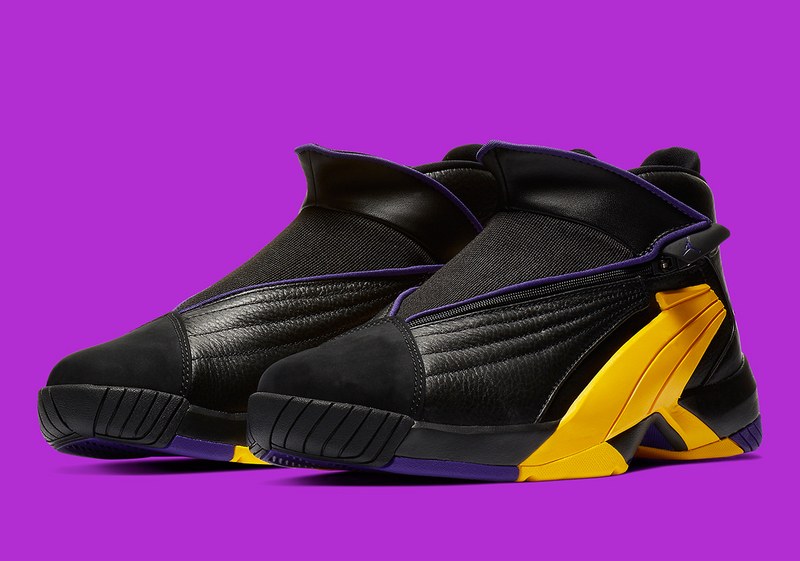 Now, it’s back for the first time almost two decades after its initial drop — and the newest colorway to hit shelves is a Lakers-styled makeup. 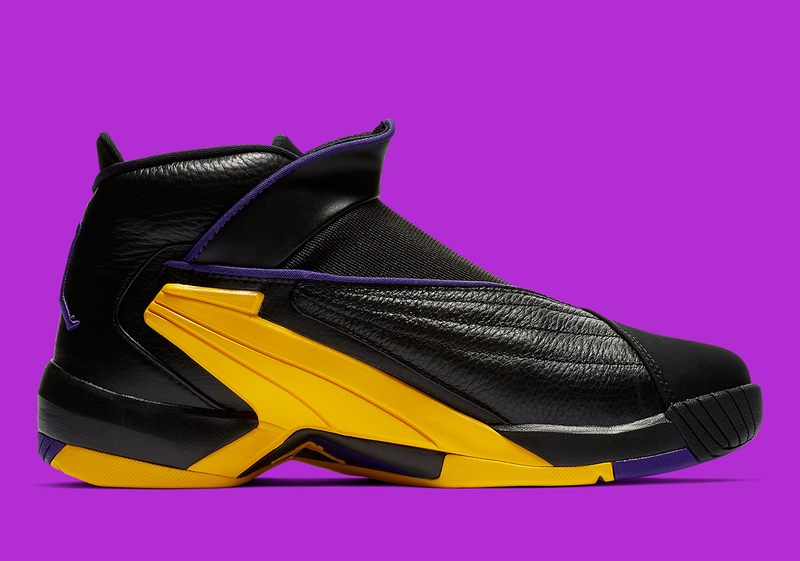 Using a black leather-and-synthetic mix as the base, the shoe’s main accent arrive via a large gold midfoot overlay. 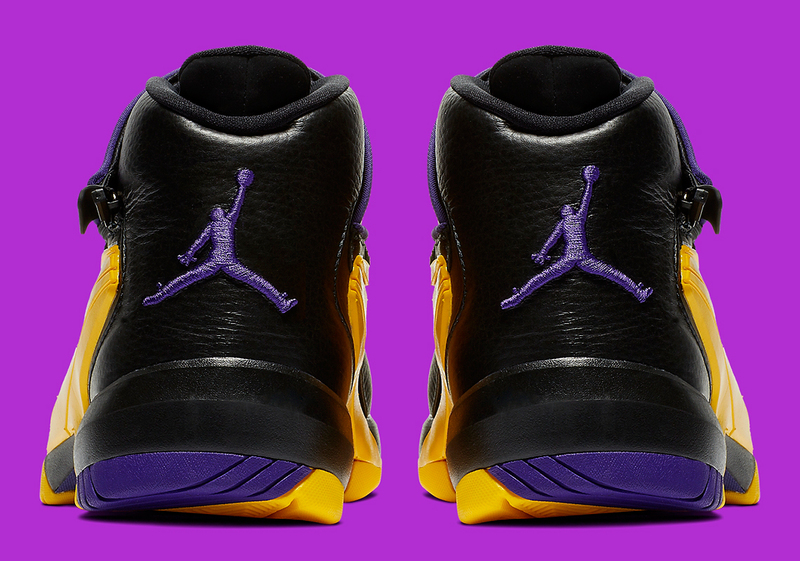 A regal purple is then mainly used for detailing, appearing on the heel’s Jumpman logo, the zip closure lace shroud, and the outsole. 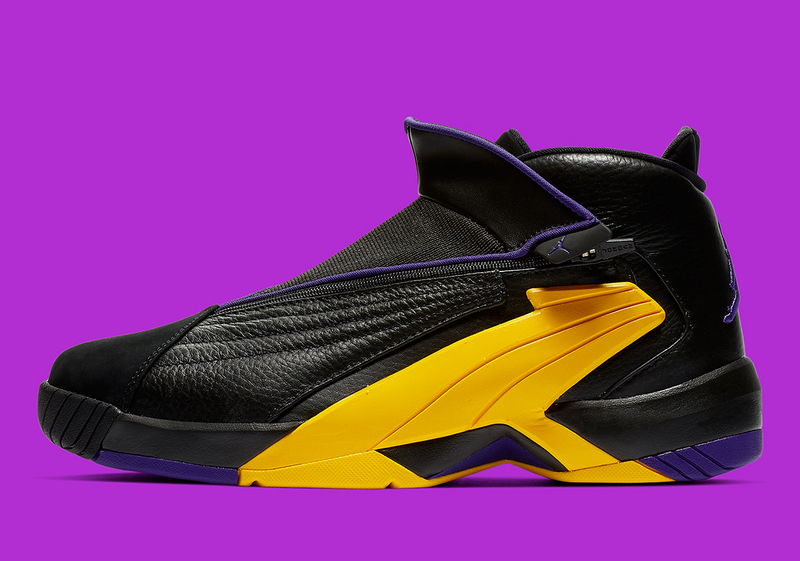 Although Jones did spend six seasons on the Lakers — the latter half alongside a young Kobe Bryant — he was traded to the Charlotte Hornets in 1999, making this an interesting “alternate history”-style take on a homage hoops shoe. 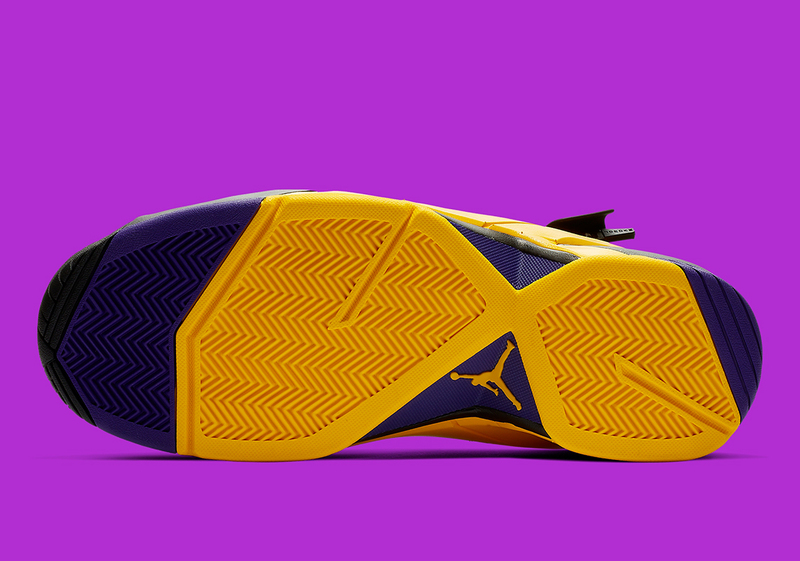 If you need a new basketball shoe or you’re a Lakers fan who wants to remember more promising days, these Swifts are available now at Nike.com for $140 USD.